Limbic Media is entering its busiest season yet. Aurora-powered LED installations are going up around the world for the 2018 holiday season and beyond. Aurora controls LED displays by interpreting sound and mapping that audio data into lighting design. 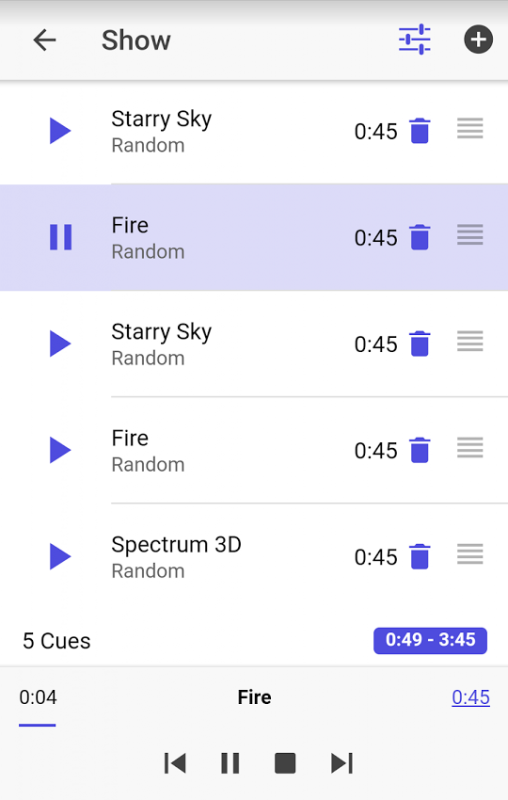 While Aurora handles interpreting and mapping the subtleties of audio data, installers have the power of manipulating lighting design features through the Aurora Mobile App. This article guides you through how to create a holiday light show with Aurora for the 2018 holiday season using the Mobile App. 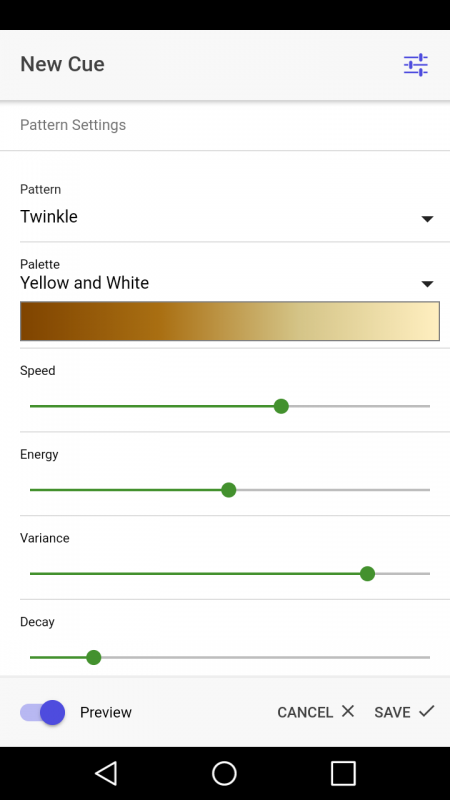 The Aurora Mobile App offers a library of patterns, color palettes, and parameters to give users easy yet sophisticated light show customization. 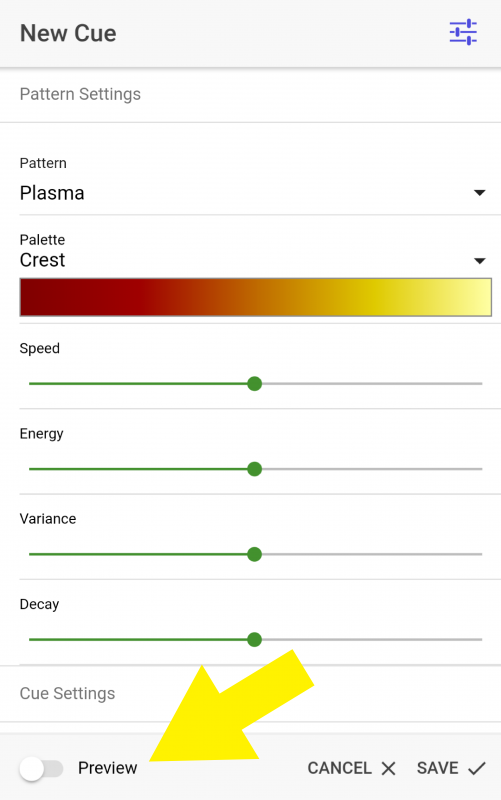 The App currently contains 9 patterns—the foundation of Aurora lighting design. Each pattern uniquely analyzes incoming audio data and maps it into specific lighting behavior. 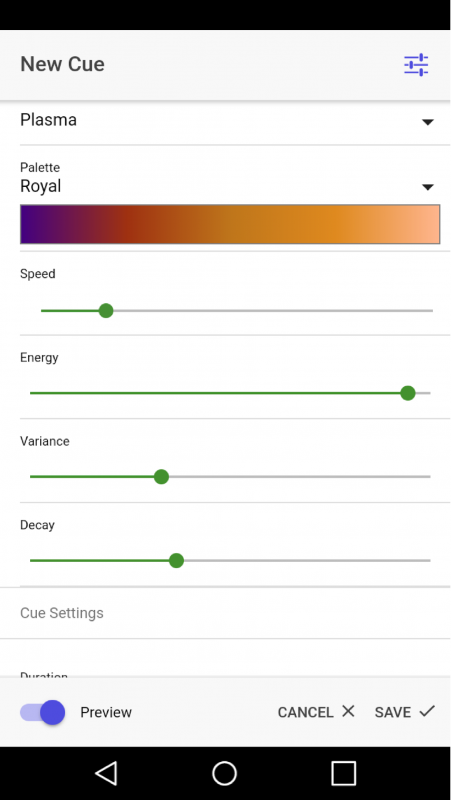 The App also contains 4 parameter sliders to adjust the speed, energy, variance, and decay of patterns. Parameters affect each pattern slightly differently, so we encourage experimenting with different combinations. Aurora also contains 24 color palettes. Combining the patterns, parameters, and palettes give users thousands of design possibilities with no lighting design expertise required. These possibilities will only grow with continuous pattern, palette, and Mobile App development. 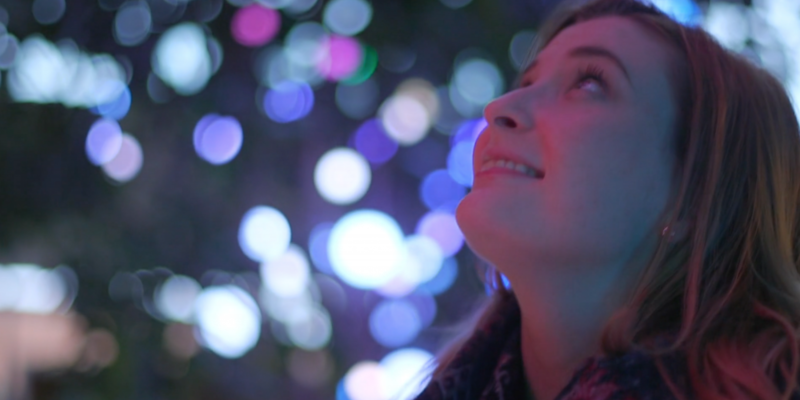 Here’s how to create an effective holiday light show. 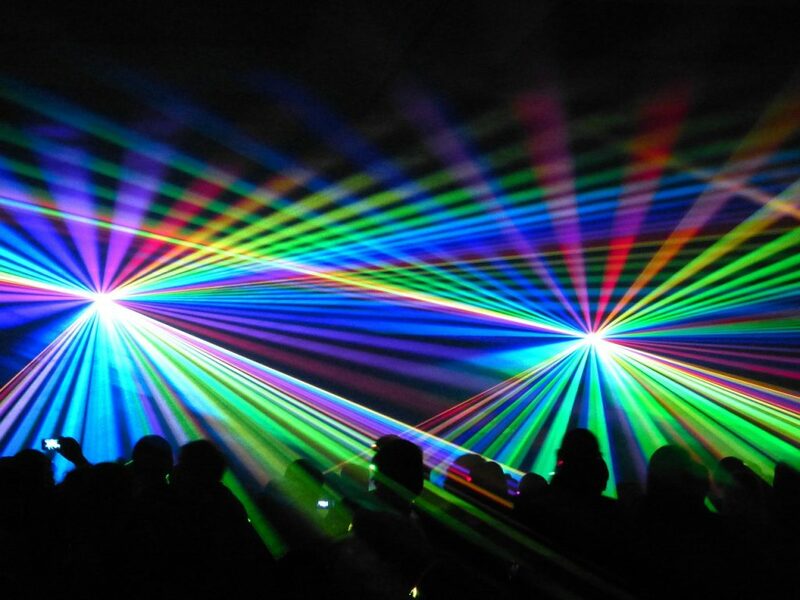 To create a light show that intuitively reflects audio input, users must calibrate audio-reactive Aurora installations. Users can calibrate audio input in two ways—with auto gain or manual gain—depending on the audio input type. For example, an outdoor installation that responds to public interaction via microphone should be calibrated differently than an installation with an audio player or professional audio equipment plugged directly into Aurora. Aurora installations that respond to music plugged directly into Aurora are most effective when calibrated for auto gain. This means that Aurora automatically creates light shows that are consistently responsive, no matter the volume level. If a song goes from extremely loud to very quiet, for example, the lighting design will reflect these dynamics, but not disappear completely. Aurora installations often use a USB microphone as audio input. 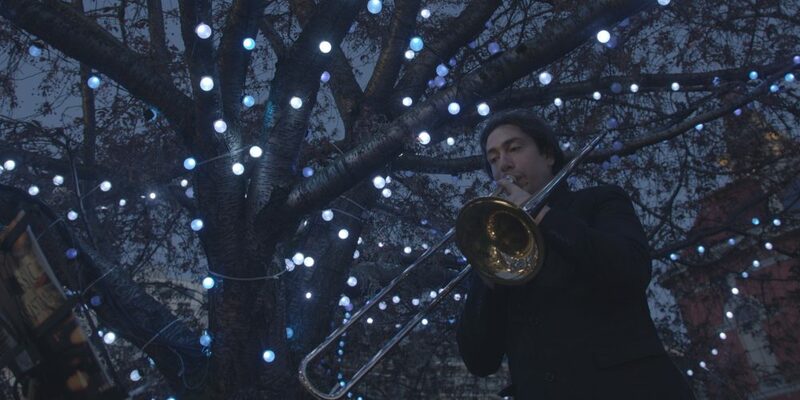 This is popular for public spaces and holiday events, encouraging passers-by to engage with lighting design through their voices, claps, and other interactions. These open environments used with a microphone tend to vary in audio levels and the frequency or intensity of audience interaction. This is not ideal for auto gain. 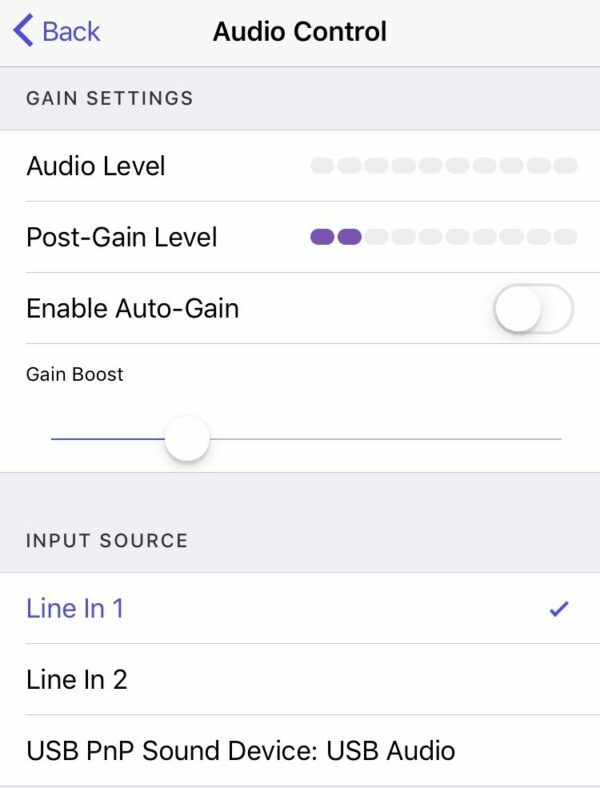 For example, auto-gain allows Aurora to capture a sudden audio interaction (a clap or a loud voice) effectively—but automatically normalizes to that sound, leaving a follow-up interaction not as noticeable in contrast. 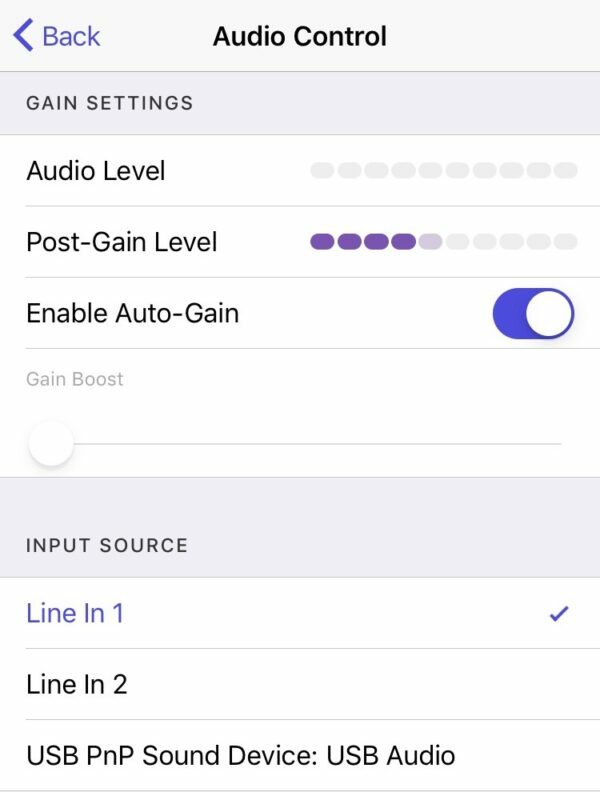 Adjust the Gain Boost slider until Aurora reacts to the desired level of audio input. The color palettes available in the Aurora Mobile App are developed by Limbic Media’s creative team. The palette gradients are specifically designed to produce aesthetic light shows that look like they were created by a professional lighting designer. Custom color palettes, such as corporate colors for holiday events, can also be created on request—contact Limbic Media for more information. Once you’ve calibrated your audio input and explored color palettes, you’re ready to dive into the fun part—creating light shows. 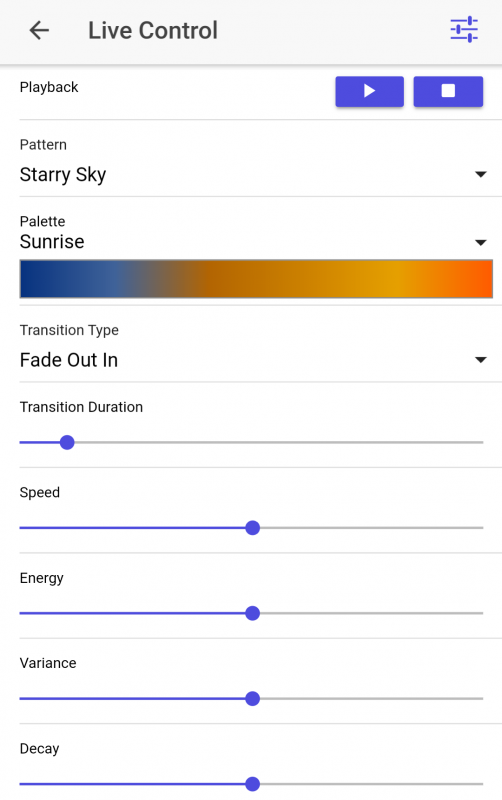 Here’s how to use Show Mode or Live Control Mode in the Aurora Mobile App, as well as customize some holiday-themed patterns. 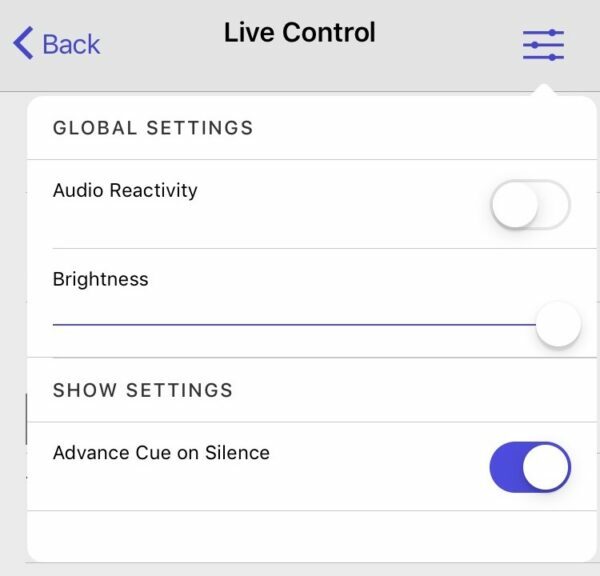 Users can operate Aurora lighting design in Show Mode or Live Control Mode under Device Control. 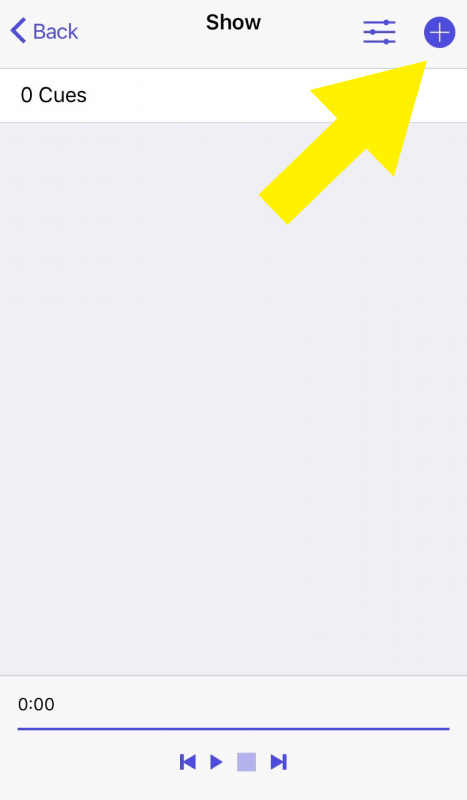 Aurora Mobile App – New Cue Screen. Turn Preview ON! Here are a few of our favorite holiday-themed patterns to create in Live Mode or Show Mode. Keep in mind that some of these patterns only work when arranged in a light grid, such as an LED curtain, canopy, or 3D cube. Installations without lights arranged in a grid (Singing Trees, for example) can be custom-mapped to better evoke 2D or 3D effects. Contact Limbic Media for details. Create your own Christmas stars with Aurora’s Twinkle pattern. The twinkling star effect looks great with both cool and warm color palettes, as well as installations without lights arranged in a grid, such as Singing Trees. The Twinkle pattern is based on the same pattern and parameter settings as a Snowflake—except with lowered speed. In the Twinkle pattern, a heightened speed affects the light arrangement of the lighting design, resulting in a snowflake-like shape. These are just a few of the suggested lighting design combinations for holiday-themed installations. We recommend playing around with different palette, pattern, and parameter combinations to reinvent your traditional holiday lighting displays. Contact Limbic Media for more ideas and lighting design support—we will be releasing the Aurora Pro Manual in the next week for a full description of Aurora patterns and parameter functions. Looking for more holiday lighting content? Subscribe to Limbic Media’s monthly newsletter! We talked to Darren Vader, a holiday lighting installation expert, in our last blog to discover the biggest trends and challenges facing the industry today. Darren’s business focuses mainly on commercial lighting installations, retail/wholesale, and cutting-edge technology in the lighting industry. This week we want to focus more on small-scale residential or small business lighting installations. Residential lighting made $27-billion in revenues for the 2017 season across the United States, and is growing every year. We received feedback from WeHangChristmasLights.com and JVS Christmas Lighting to gain some insight for this article on the residential installation arena. There is a huge demand for holiday lighting installation services, and the industry is growing beyond just Christmas-themed displays. Quality custom installations from reputable installers are not cheap—but planning the right design offers potential for installations with year-round appeal. Versatile, high-quality installations enhance your home’s aesthetic and can have a significant ROI for small businesses looking to stand out. If you budget for professional holiday lighting installations each year, here’s how to maximize your investment. Consider lighting installations that aren’t Christmas-specific. 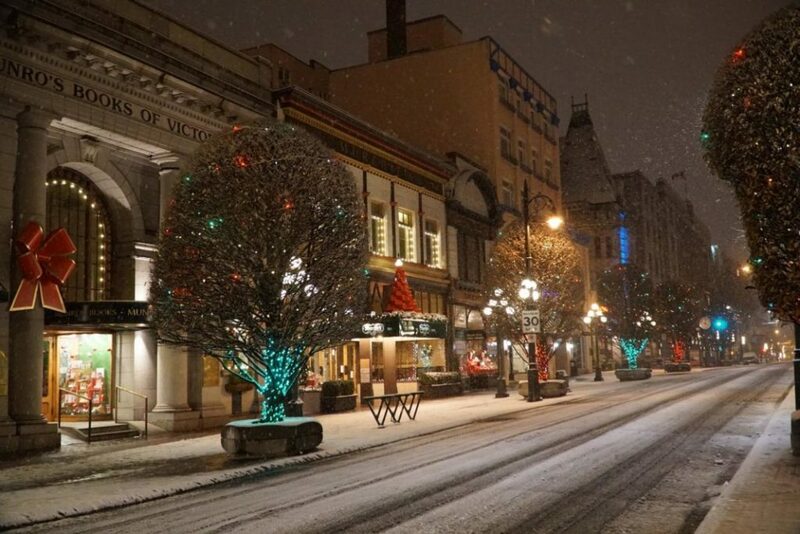 Victoria, BC’s main drag along Government Street is lined with light-adorned trees. Season after season, the lights remain, but the colours change depending on the season; soft white for strolls on warm Summer nights, orange for Halloween, and alternating red and green for the holidays. The lights add an aesthetic appeal to the city’s downtown core and drive foot traffic even after the shops are closed. Smaller-scale lighting installation customers tend to invest in Christmas-themed projects with an installation life of 2-3 months at most. New trends and technologies in the lighting industry are allowing for more adaptable installations that make better use of your investment. 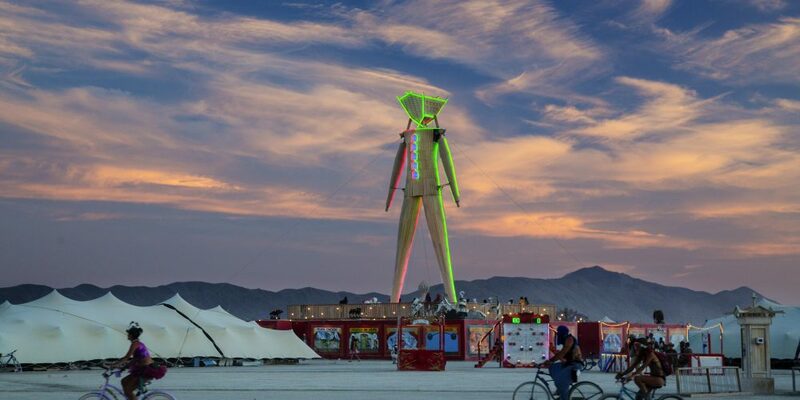 According to Josh Trees of WeHangChristmasLights.com, Halloween, event, wedding, and other non-Christmas events are some of the largest growing aspects of smaller-scale installation projects. 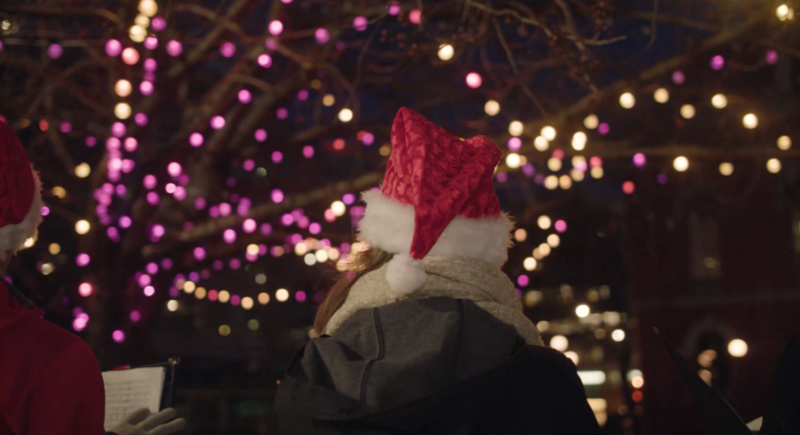 This shows a willingness for customers to think past lighting displays as a traditionally Christmas-focused endeavour and become more integrated into other events or residential décor. The huge commercial market for lighting in non-Christmas events and festivals is trickling down to the smaller-scale installation market. 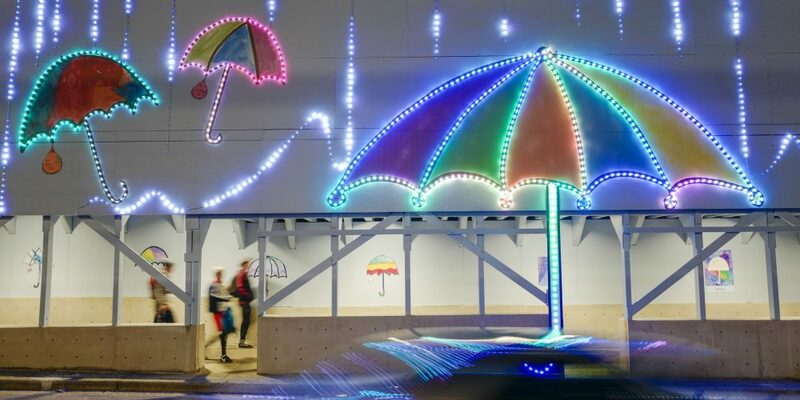 Technologies like RGB and light interactivity is making it possible for these projects to easily evoke different moods depending on the time of year and audience without having to redesign or reinstall the display. 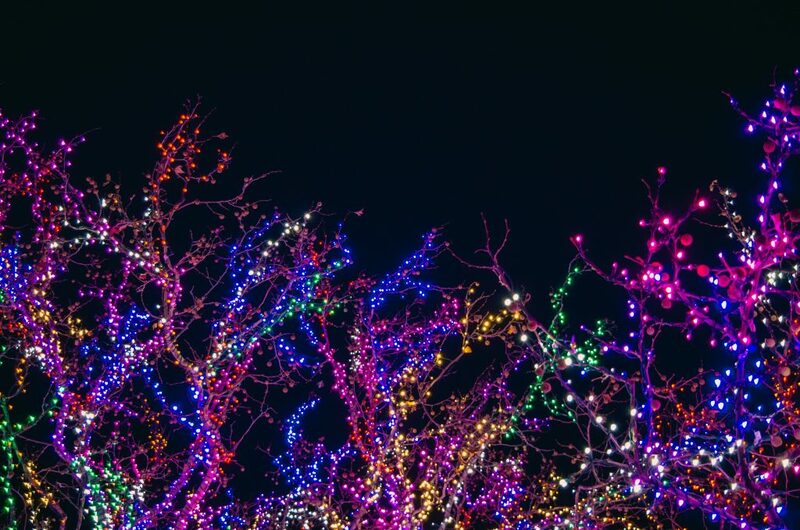 RGB Lighting is one of the fastest-growing segments of the holiday lighting installation industry. RGB lights combine red, green and blue light to create a full range of colour options from a controller, making installations much more versatile. The same RGB light installation you invested in to set mood-lighting for your patio and landscaping in the summer can then be easily controlled to create Christmas or Halloween-themed lighting, for example. This allows you to keep your installation up year-round and reinvent the lighting’s appeal, whether it’s for the patio of a cafe or a private home audience. Hire an installation company and make sure they’re certified. Thousands of people each year receive treatment for holiday-related decoration injuries. Holiday lighting installations can result in property damage or even injury when done DIY-style or conducted by unqualified installers that are more focused on providing a cheaper service than a quality service. Small-scale residential installers are constantly dealing with installations that need to be set up quickly in harsh weather conditions in the safest way possible and returning client properties to their initial state. According to Josh Trees, the biggest challenge facing the industry today is unqualified installers that are dropping their prices at the expense of installation quality and safety. By investing in a highly qualified, certified installer, you not only get a quality design and hassle-free service, but also benefit the industry as a whole. Budget and plan for your installation far in advance. Most smaller-scale lighting installers deal with short lead-times before the winter holiday season, which means installations can be rushed with shorter daylight times, bad weather and tight deadlines. 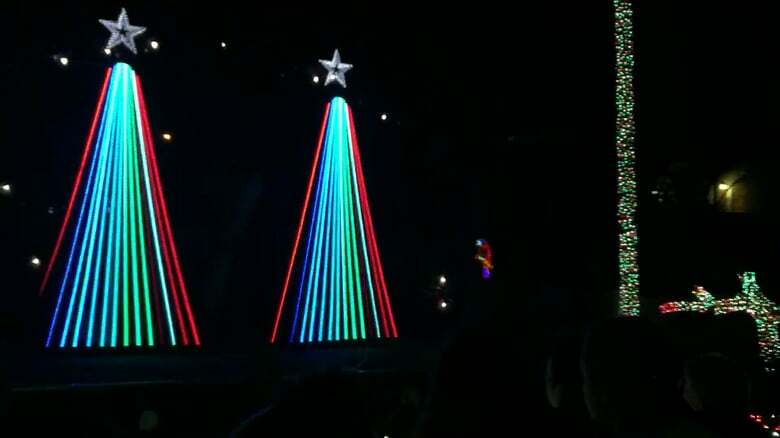 Adaptable RGB installations that look as good for Summer events as they do for Christmas beat rush times and spread your investment out over a longer period. Planning versatile installs in advance also provides installers with revenue in the off-season, and gives them time to invest in a quality custom design. Installers are well aware of industry trends and new lighting technology, especially early in the season, so if your goal is to be the Joneses, your property will be trend-setting in your area. Pay attention to what commercial lighting installers and companies are doing. 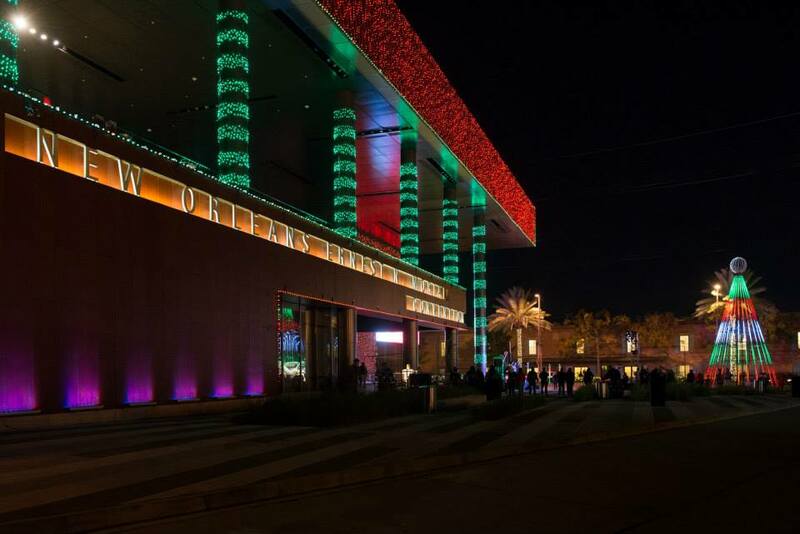 If you want to stay ahead of the game with your holiday lighting installations, look to the bigger commercial installers—the companies tackling festivals and public spaces—for industry trends. The commercial lighting industry almost always informs trends happening in residential and small-scale holiday lighting businesses. For 2018, RGB LEDs, interactivity, synchronized sound-to-light, and multisensory installations are trending. Observing lighting installation trends in commercial spaces is the best way to set trends and be cutting-edge for residential and small-scale installations. If you’re a small business, staying on top of these trends is a good way to maximize your investment in lighting installations, set your business apart from the others, drive traffic to your business and increase your ROI. Holidays are increasingly commercialized each year, which means the demand for holiday lighting is growing and installation planning and execution is happening earlier each season. The industry is seeing growth in RGB lighting, and most installers now also design non-winter holidays and event lighting. 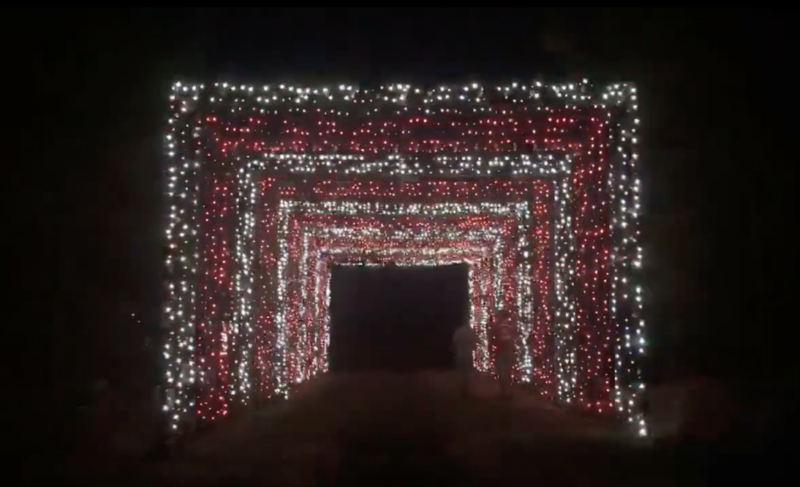 If you’re looking for a way to enhance your home’s architecture or landscaping, but also stand out in your neighbourhood for seasonal holidays and events, invest in a professionally-installed, controllable RGB display. Lighting technologies and certified installers are making it easier to maximize your investment and still look great for any season. 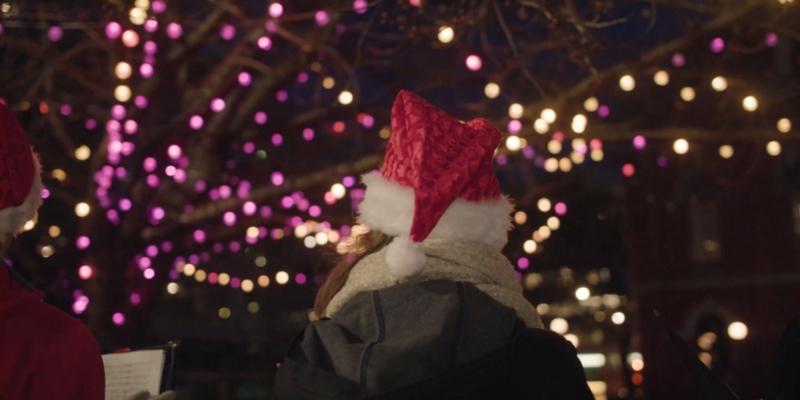 Planning holiday lighting installations might be off the average homeowner’s radar for several more months—but for those in the commercial holiday lighting industry, projects are already in the planning phase. We talked to Darren Vader of Lumyn Immersive Media about the challenges and trends facing the holiday lighting and installation industry. Darren is the founder of The Christmas Light Emporium and Extreme Lightscapes, and has years of experience in the holiday installation industry. What do your companies do, and is it possible to survive year-round in the holiday lighting industry? This depends on what aspect of the season lighting industry a company is involved in. I see the market as having basically three top level segments: residential services, commercial services and retail/wholesale/commercial product sales. My companies are involved in technology design and consulting for commercial projects and retail/wholesale product sales. I focus heavily on creating the highest perceived value possible. This allows me to design higher-end displays, pieces and light shows using the highest quality components available, while often implementing technology that is light years ahead of others in the market. All of these things mean I have a longer sales cycle—way longer than those who focus on residential and a good bit longer that those who only focus on commercial installation. So for me, it is absolutely a year-round focus. I spend the first half of the year selling new projects and the second half of the year doing onsite consulting/installation and managing our retail operation. I would say that most companies involved in the seasonal lighting industry are more focused on what I call “right-now revenue’” rather than on providing long-term value for their customers. 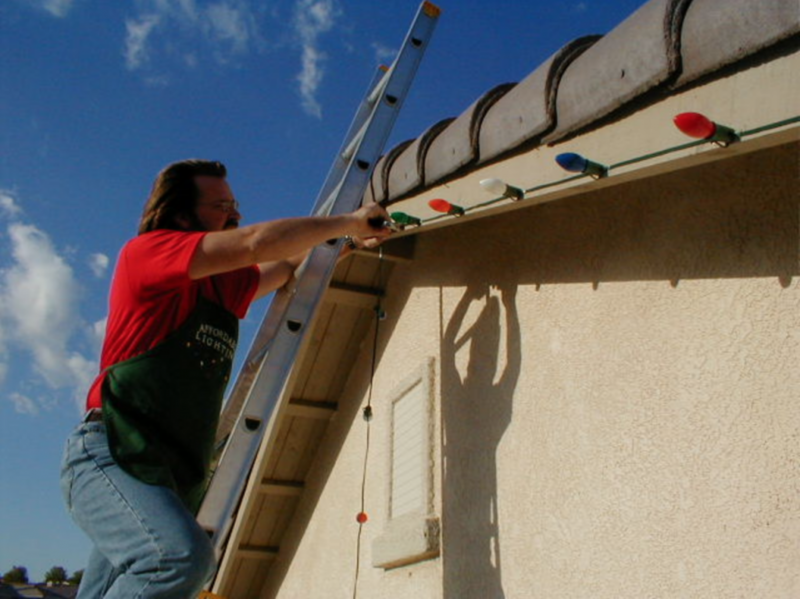 For residential services, we are chiefly talking about Christmas light installers. It is not common to see a full time, year-round business with no other revenue stream. The most successful residential installers will have a few key staff that are full time/year-round and a vastly higher number of staff that are seasonal only. They also tend to pad revenue with other services such as landscaping or landscape lighting. I always tell my friends in the residential space who are successful that it’s not their skill at light installation that makes them good at what they do—it’s the fact that they are masters of logistics. Commercial service providers typically are able to command a higher price point for their services because it requires an advanced set of skills and new logistical challenges. The venues are almost always much larger. The installation time, equipment and logistics of working in public spaces are far more complex than in the residential space. 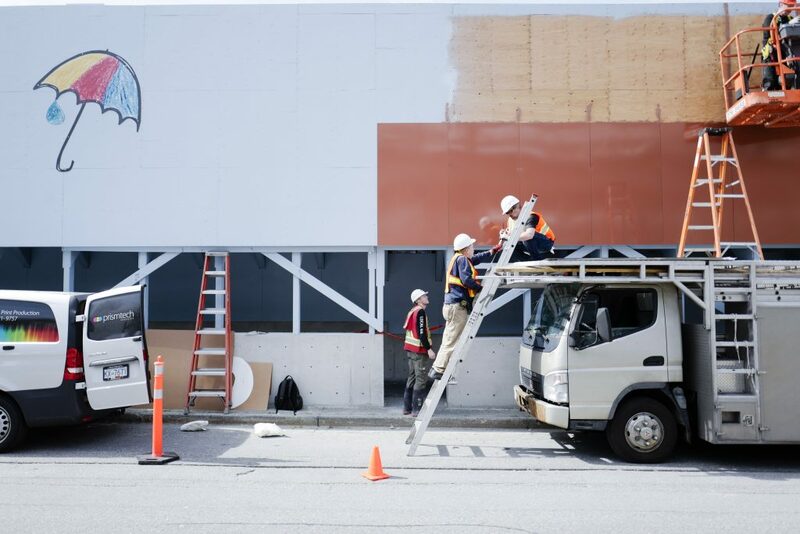 I would say that a majority of companies specializing in large commercial installations are likely to be full-time, year-round operations even if with a limited staff. This is the segment within which technology specialists such as myself and my companies exist. Technology services and consulting for complex lighting installations is an underserved niche market that requires a very unique combination of right-brain/left-brain thinking. Retail/Wholesale/Commercial Product Sales: this is where a good bit of the real magic happens. Manufacturers and retail/wholesale entities who have the foresight to create new and exciting products for use by commercial and residential installers are the ones who drive innovation in the seasonal lighting industry. 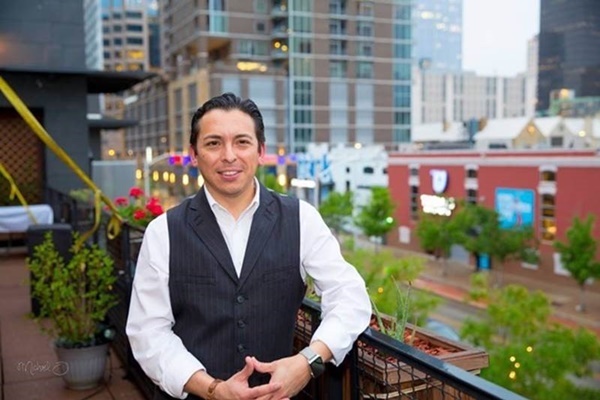 Often they are being pushed by folks like myself and others in the residential and commercial services space who are constantly demanding new and innovative products. All of the larger commercial product companies are certainly year-round operations. There are a few retailers of seasonal lighting who are able to operate full-time as well. But most of them are supplementing with some level of marketing toward patio/landscape lighting, event lighting or even municipal and general lighting products. Regardless of which segment of the seasonal lighting industry a company participates, I believe that whether or not a company can make a full time/year-round business out of it is chiefly based on their ability to create designs, services and products that are impressive enough to command a high-perceived value. You have to build a reputation as being one of the best in the industry nationally or even internationally in order to command top dollar and top margins, and afford to work on Christmas all year long! How do seasonal holiday installers survive in the off-season? Residential installers who do not run a company full-time are very often firemen, policemen, landscapers or otherwise employed in an opposing seasonal field. Residential installation companies who are full time will almost always also offer landscape or landscape lighting services to keep some cash flow rolling during other parts of the year. What are the biggest challenges facing holiday installers today? How do you see those challenges being addressed? Manufacturing of holiday lighting on the high end has somewhat shifted to Europe, but that makes the cost very high. I think that in the future we will see some of the larger European companies open manufacturing facilities in the U.S.. I already see some U.S. companies in the commercial product space who are taking European style and having similar designs produced in Asia at a much lower price point. When it comes to the basic components—lighting, technology and supplies – if costs of production continue to increase in Asia, I see the possibility of U.S. distributors moving production to places like Mexico and the Philippines or other areas where cost can be brought back down a bit. Keeping up with technology will always be a challenge. It is a generational thing. 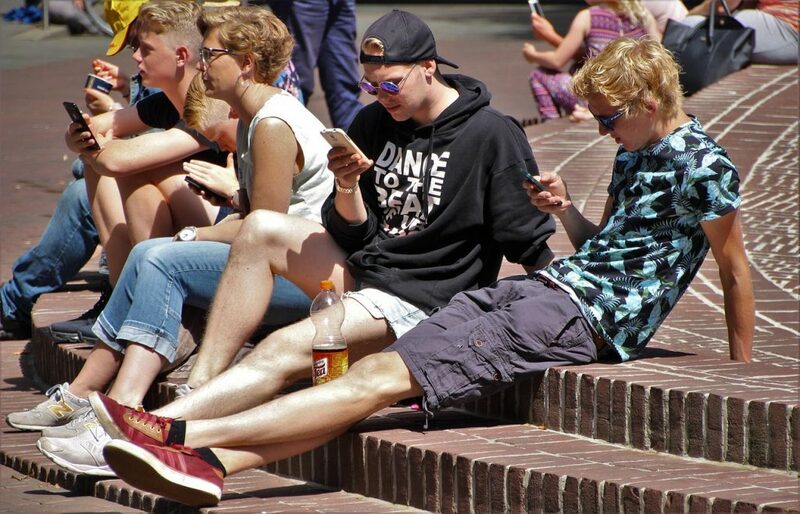 Just like my generation was the first Internet generation, we are now getting “schooled” by our kids, who are the first social media generation. In a similar fashion, I was part of the first generation of seasonal lighting technologists. I am very often getting “schooled” by the next/younger generation of technologists who, for example, are fluent with and have pushed the limits of what can be achieved with RGB lighting and control systems. At some point I feel like we have to move beyond being hands on with it ourselves and focus more on the theoretical—coming up with visions, inventions and ideas that are superior to what exist right now—and then hire the next/younger generation to build out those visions! Much like the Apple, Steve Jobs approach to technology. Interactivity and immersive environments and displays. This is the same mantra being chanted in every corner of all segments of the event production space. Maintaining the ability to bring to market designs and technologies that have a high-perceived value, I think, is just a matter of never getting bored. You have to absolutely love seasonal lighting. When you stop loving it more than everyone else, you will stop caring about creating things with a high-perceived value. If you don’t value your ideas, neither will anyone else. What current trends are you seeing in installation projects? Interactivity and immersive environments and displays. This is the same mantra being chanted in every corner of all segments of the event production space. The human condition is so complex, and getting more so year by year, that people are becoming desensitized to what we have known as common visual and audio stimulants. The world is so audibly and visually “noisy” that we have to cut through all the mess by offering interactive displays, immersive environments and advanced sensory experiences in order to capture people’s attention, bring their minds into a peaceful zone (or a party zone, or a reflective zone, or whatever happens to be appropriate for the environment) and give them something important that will tell a story on behalf of the producer. If it wasn’t for my focus on technology, I’d just be another miscellaneous commercial lighting installer. When it comes to how: RGB RGB RGB RGB. European design. Video mapping—both using traditional projectors and more recently by using RGB pixel grids and feeding them video content. Sound, motion reactivity, physical interaction, etc. What are the differences in the demands you get from commercial vs. residential clients? I would say that commercial installers are being hit with all of the tending demand we just mentioned. They are being asked to execute these interactive and immersive visions within often very tight budgets. Residential installers I think have a completely different challenge. Residential buyers are notoriously “best price” shoppers without much regard to who the best person is for the job. Up to how much do clients pay (residential vs. commercial) for their installations? This is all over the map. I focus on commercial projects. My average project is probably around $100,000 with a huge range of $50,000-$1million, with a mean budget probably around $50,000-$75,000. For residential installers, the range is also very wide. Most of the non-full-time, one-man operations are also wildly undercutting the full-time installers and and probably average around $200-$300 and focus on 1-story or smaller 2-story neighborhoods. At the same time, I know several full-time residential installation companies who have a $1,000 minimum per project and they are extremely successful. Their clients are typically wealthy neighborhoods and small commercial venues (small shopping centers, stand alone restaurants, etc). Do you ever have clients request holiday installs that are also adaptable for year-round use? Rarely. This is something that I am trying to educate my customers on. A seasonal display that is truly designed to bring out the feeling of the holidays is never going to be something you want left up all year long in its entirety. But we almost always are including components within those displays that most certainly could and should be considered for permanent, all-year use. This is especially true of some of the interactive displays and many components that use RGB lighting systems or projection. These systems are relatively easy to create new content for changing times of the year. What role does new technology play in your business? Massive. It’s all I do. This is what makes my company unique. There are not many of us in the seasonal lighting business who only focus on new technology. This doesn’t mean that I don’t do anything else, but new technology is always what we lead with and it is what my companies are known for. There are only a small handful of others who approach seasonal lighting this way who are full-time operators. If it wasn’t for my focus on technology, I’d just be another miscellaneous commercial lighting installer. 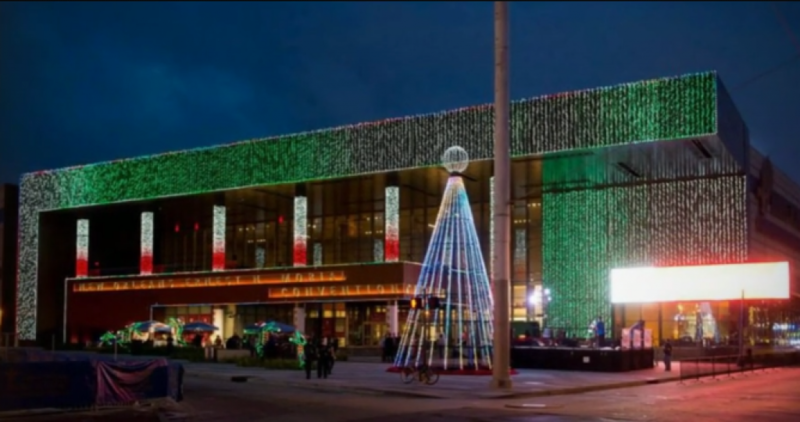 Is interactivity a growing component of the holiday lighting install industry? Absolutely. And not just with technology. One of the most popular types of display pieces I have included in my designs recently has been 3-dimensional pieces that people can walk through or touch. This year I am pushing these limits with the vision to bring to market solutions that are both 3-dimensional walk-through piece and immersive, multi-sensory experiences. I fully believe that this is where the market is heading. And there are a million different ways to bring this vision to fruition. I believe that the immersive movement will last for a while into the future. 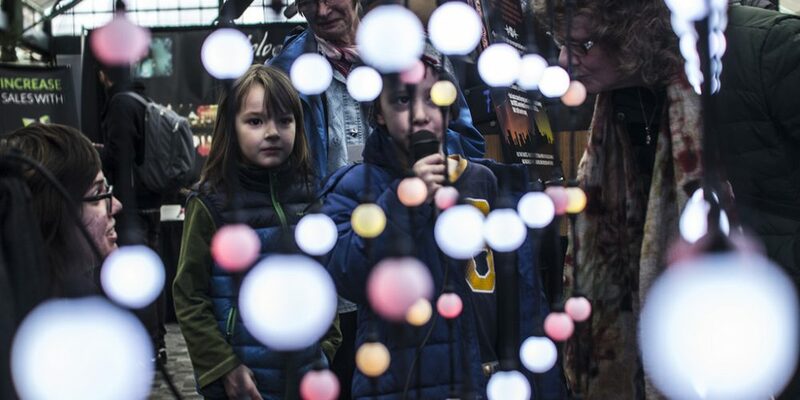 What are some examples of interactive installations you’ve done? Walk-through ornaments, stars, tunnels, light show tunnels, sound-to-light, Santa set built inside a light-show tree, next step—multi-sensory displays! Interested in more perspectives from industry professionals? Sign up for our newsletter. Once upon a time, Redcliffe Elementary School in South Carolina was experiencing issues not unlike many North American public schools. Despite their focus on achievement in standardized testing, Redcliffe had the lowest test scores in their district. Instead of beefing up their academic approach, they decided to invest more in multisensory education that amalgamated traditional studying with visual arts, music, and dance. Within six years, their test scores were in the district’s top 5%. 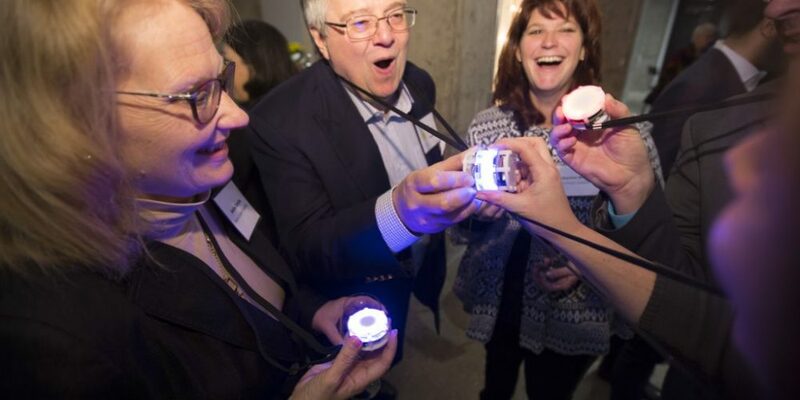 The idea of integrating all five senses into learning is not a new idea, but the market for multisensory technology is quickly expanding as we more deeply acknowledge how it enhances human experience. Multisensory technology has played a big role in our discussions on heads-up vs. heads-down technology and how each influences us socially. While there are benefits to both, heads-down technology seems to dominate our consumption. There’s an underlying fear of the effects an imbalance of heads-down stimulation has on our behavior and cognitive ability, especially among children. Multisensory education has so much success because it single-handedly addresses a variety of classroom learning styles, increasing the chance that lessons will be retained for each student. If we want product design, business models, educational tools, and social platforms to create a balance, multisensory technology offers solutions. Why are multisensory experiences so attractive to businesses and consumers looking to fill that niche? 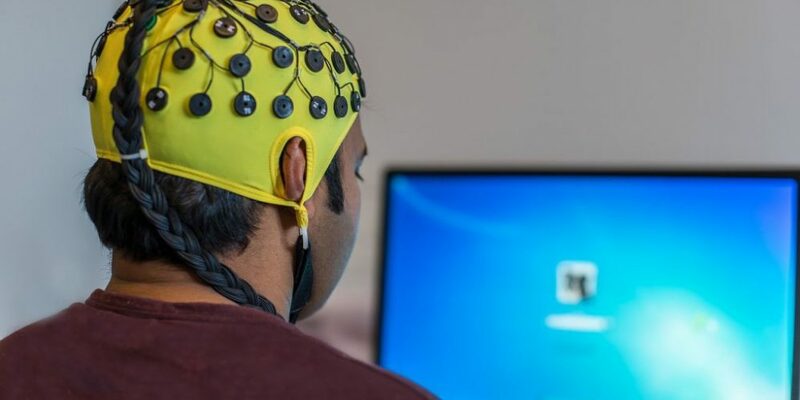 What is research saying about multisensory experiences? Most of us have had this experience at some point: you catch a whiff of something that sends you reeling in visual, emotional, and perhaps even auditory memories surrounding that smell. Our most established and vivid memories are multisensory. We form memories based on situational context, and that includes cues from all five senses and any relevant emotional associations. The growing popularity of multisensory experiences in everything from autism therapies to retail spaces is based not only on its inherent appeal and entertainment value, but a body of research focused on multisensory experiences and their ability to form lasting memories. The most logical place to measure the effect of multisensory stimuli on memory and learning is in childhood classrooms. A study that trained writing students with audio-visual methods looked at the effects of multisensory education on children with dyslexia. The study found that the approach improved students’ performance whether or not they were dyslexic. Teaching letters to children and measuring their phonemic awareness was much more effective when researchers added a visual-tactile component to their delivery. Incorporating full-spectrum lighting and changing colour schemes into learning environments has the potential to reduce stress and enhance student focus. 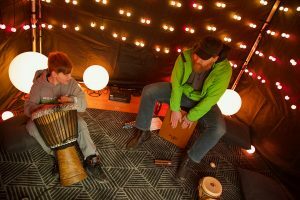 Playing music in conjunction with lessons tends to improve spatial-temporal reasoning, which is useful for understanding proportions and geometry. People retain information better when they’re educated with their individual learning style. 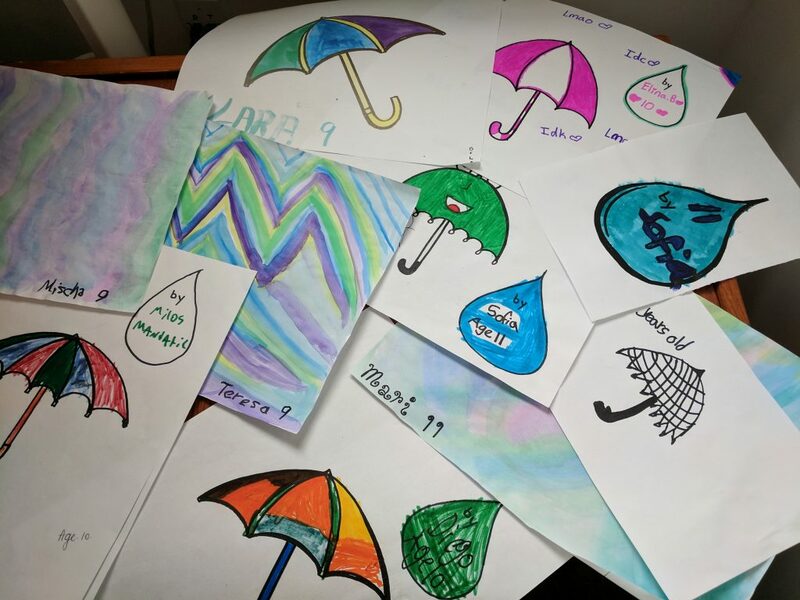 Multisensory education has so much success because it single-handedly addresses a variety of classroom learning styles, increasing the chance that lessons will be retained for each student. By addressing multiple learning styles, it also increases the variety of neural pathways stimulated in the brain, which is important for early brain development and learning. Classrooms that incorporate more multisensory teaching methods generally see higher rates of comprehension than ones that use uncoupled senses in their curriculum. The issue of comprehension came up in our last post as well. 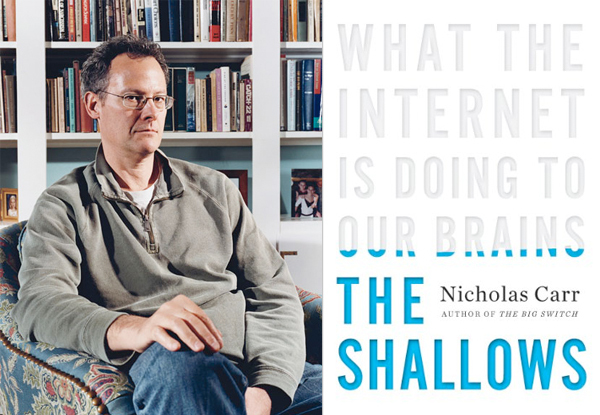 Technology, especially tools like the internet, is thought of primarily as a heads-down influence. Even though this is often regarded as a negative thing, research has pointed out its ability to train our brains to sift through information quickly and jump from one piece to the next more efficiently—but this comes at the expense of in-depth comprehension. Multisensory approaches are encouraging us to rethink the role of technology as an aid to vastly improve comprehension rather than diminish it. How are these discoveries affecting the market? It’s no surprise that multisensory experiences are increasingly utilized by companies who understand how to infiltrate consumers’ memories and emotions. Consumers also invest more of their time and money than ever into experiences rather than consumer goods. As a result, brands are integrating multisensory technologies into their products and marketing campaigns, especially in brick-and-mortar settings. The future of retail, entertainment, education, and even some forms of therapy lies in multisensory technology. There is still huge potential for multisensory experiences to grow in brand marketing. 48% of Asian marketers use a multisensory approach, followed by 28% in North America and only 13% in Western Europe. A 2015 survey by the Event Marketing Institute found that 98% of consumers surveyed were more likely to purchase a product or service if it was marketed through an experiential, multisensory campaign. 81% were motivated to visit an experiential marketing campaign because of its potential to give something back to the consumer. 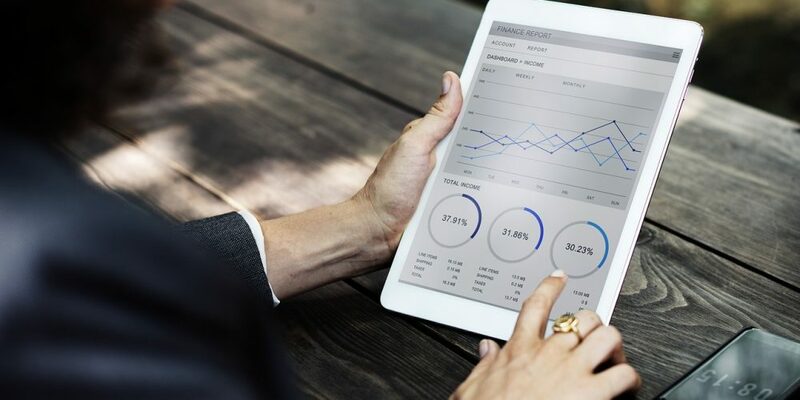 The Institute also found that on average, companies will increase their experiential and multisensory marketing campaigns by 6.1% in 2015; a number that has likely increased in the last few years. There is still huge potential for multisensory experiences to grow in brand marketing. 48% of Asian marketers use a multisensory approach, followed by 28% in North America and only 13% in Western Europe. 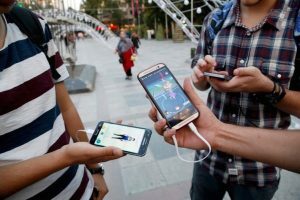 People are more invested in multisensory technology and experiences over material goods because of its ability to enhance deeper connections, memories, and learning in our distraction-laden and isolating world. The more brands, educational institutions, and other influential sectors pick up on this trend, the more multisensory technology will become an essential part of everyday human experience. What else does multisensory technology have to offer? This article has focused mainly on the benefits of multisensory experiences in terms of research and the implications that research has on educational models and marketing. There’s a plethora of reasons for the rise of multisensory technology that don’t necessarily require the justification of research, though. 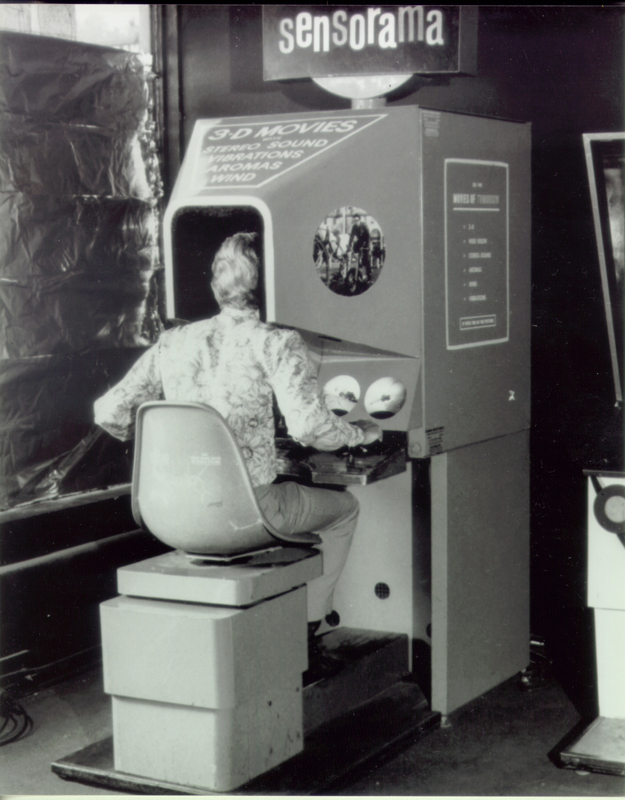 Multisensory technology provides avenues for public, heads-up social engagement. It creates opportunities to form communities and transform underutilized public space into social hubs. 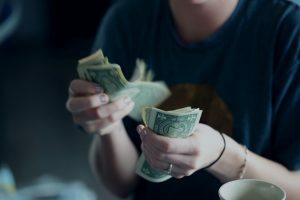 It adds unique components to products and services that people don’t normally experience at home, and it creates a niche for various sectors, like shopping malls or civic bodies, to increase the return of their investments both fiscally and culturally. Both research and mainstream media’s rhetoric on technology’s social influence seems to agree that “heads-down” technology favours certain reflex-based skills (hand-eye coordination, fast-paced problem solving, visual-spatial processing, to name a few) at the expense of deeper comprehension, connection and focus. Multisensory technology is unique from that experience alone. It satisfies the same skills that heads-down technology offers by offering instant gratification and an abundance of stimuli to process—but it also captivates us, holds our attention, and enhances our ability to learn and make social connections. In other words, multisensory design brings out the best parts of how we consume technology. Looking for a multisensory solution to a project? Contact us today to learn more about Aurora. When Rebecca Minkoff’s flagship store opened in SoHo in 2015, the retailer was known primarily for selling bags. Since introducing interactive technology for their customers on the floor, clothing sales tripled their expectations within a year. Interactive technology in retail has been the driving theme behind our previous two blogs on shopping malls. We detailed how the offline retail industry has changed over the last decade and how it can adapt, in or out of lucrative holiday seasons. In addition to the impact of e-commerce and economic downturns, people’s spending habits have been influenced by an increasing desire for multisensory experiences, often in offline spaces. Investing in interactive public art has a huge ROI both fiscally and culturally for their surrounding communities and businesses. Establishing a returning audience through these experiences is the answer to shopping malls’ survival. What exactly do these experiences look like in today’s malls? In the third and final article in our shopping mall series, we’re going to look at six different technologies you can find in the world’s most cutting-edge and successful shopping malls. 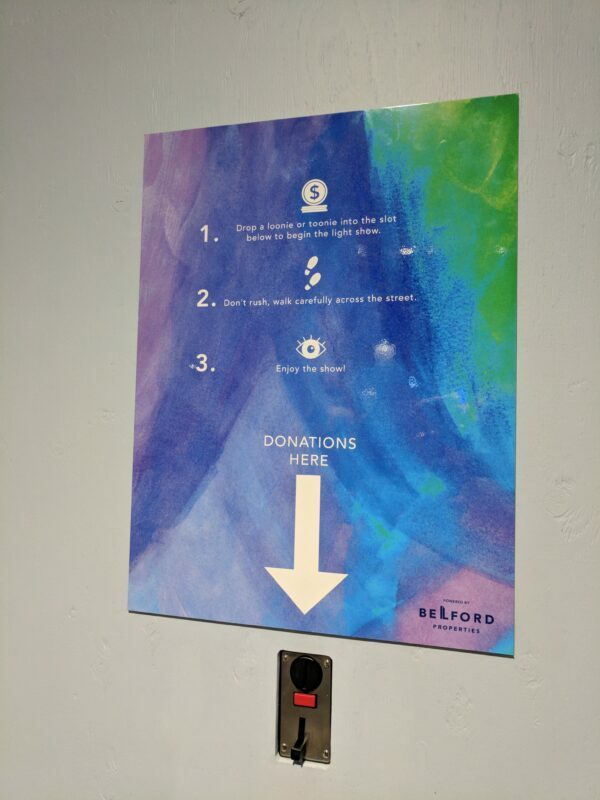 Oh, the drudgery of standing in line for a changing room only to be harassed by a sales associate as you struggle with a top—brands are now using interactivity to make changing room experiences fun and unique. 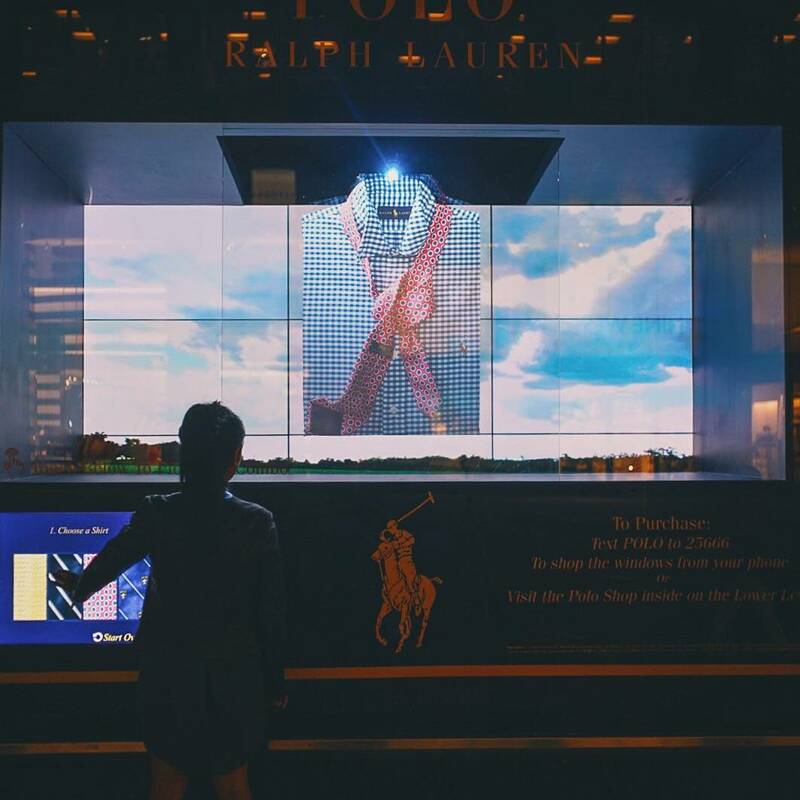 Ralph Lauren’s flagship store in Manhattan implemented touch-screen mirrors that display your items and let you adjust the lighting. You can also request different sizes via touch-screen from your sales associate, who lets you know in real-time when they’re en route. 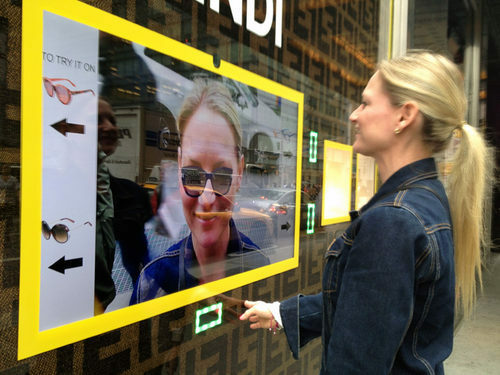 Touch-screen mirrors are a good example of how retail spaces are mimicking the interactive aspects of e-commerce. 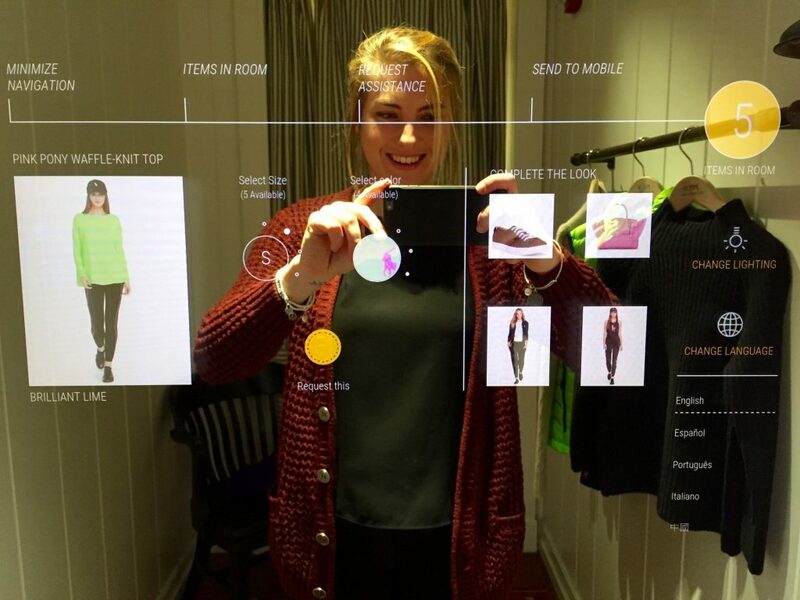 Rebecca Minkoff’s store houses interactive mirrors with eBay’s inventory management software. The mirrors act like virtual personal style assistants, making suggestions and telling customers exactly what’s in stock. The interactivity also helps the company track spending habits while increasing sales. 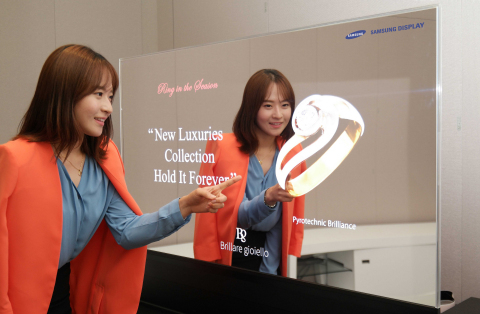 Less widespread than interactive mirrors is the virtual try-on mirror released by Samsung in 2015. 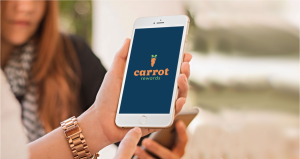 The idea is to set up mirrors in non-retail spaces that provide customers with a hassle-free, interactive way to engage with products without stepping foot inside a store. A similar product was more recently patented by Amazon and acts like a full-body Snapchat filter that integrates virtual try-on with backdrops in various locations. The company claims to use the world’s most advanced technology in light and projection to bring online shopping models to an offline, participatory audience. Bloomingdale’s in Manhattan installed an interactive window display for Father’s Day in 2015. The goal of the project was to stop foot traffic by offering a captivating participatory experience. It also provided an opportunity to make sales out of convenience; if customers liked the products they experienced, they could make purchases without taking extra time to go inside. Similarly, French shoe retailer Repetto drew in foot traffic by using motion-tracking technology in an interactive window display. 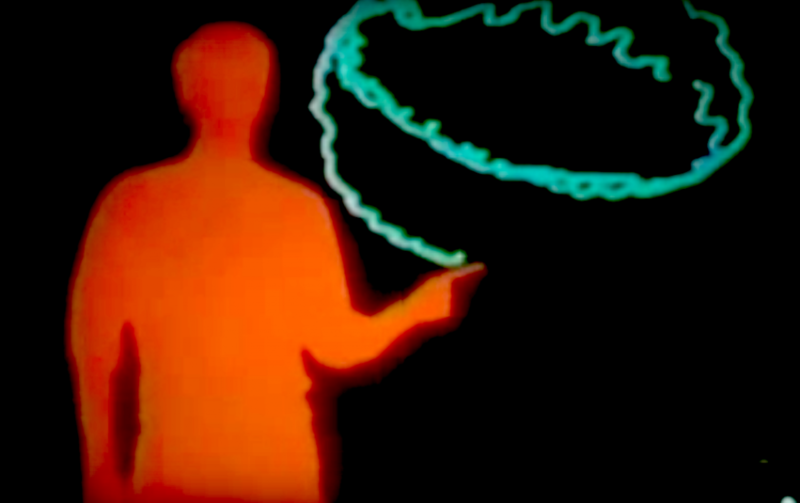 Audience motion created a holographic catalogue that reacted in real-time with customers. Microsoft deploys immersive screens in their stores that wrap around the entire retail space. A server synchronizes the images as they flow from screen to screen so the experience isn’t localized to one portion of the floor. The immersive display benefits stores in their versatility. They offer product information, educate viewers on tech topics, provide audio-visual entertainment, invite participation through activities like gaming, and update customers on localized events and news. Since the beginning, shopping malls have focused on interior space and retail, often neglecting their exterior appeal. 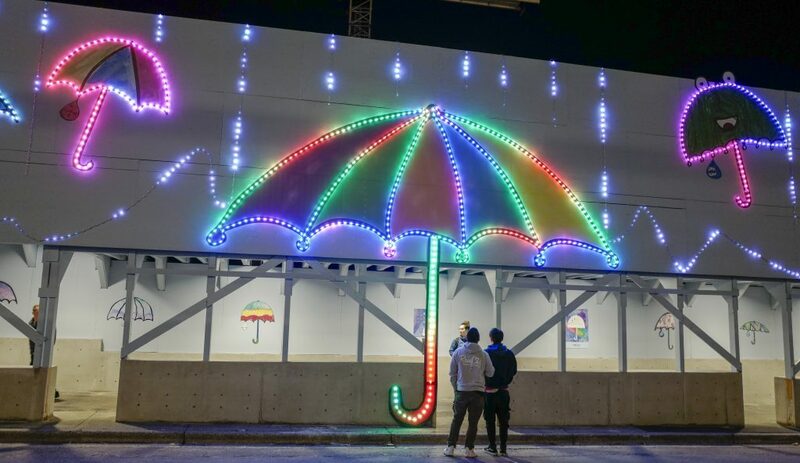 Incorporating interactive public art, technology, light, and design into mall exteriors is another effective way of placemaking and drawing in customers. 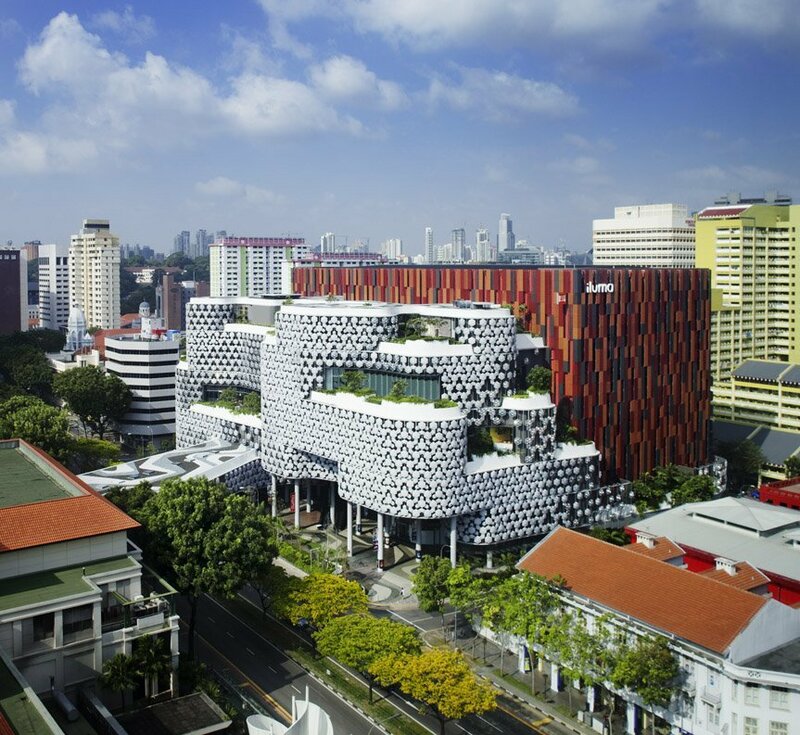 The Bugis+ shopping mall in Singapore invested as much into its facade as its interior, and the result is a piece of architecture that is hard to pass by. The building features a curved, crystal-mesh facade. Lighting is integrated into the mesh and controlled with custom software to make it sparkle during the day and glow after sundown. It was designed to involve its surrounding community in an interactive experience; artists and the public can project messages and art into the crystalline architecture on a large-scale. This not only drives mall traffic but establishes the mall as a cultural and artistic place-maker in the region. The Mall of America offers a free 9-minute interactive light show every night that focuses on engaging and entertaining younger audiences. 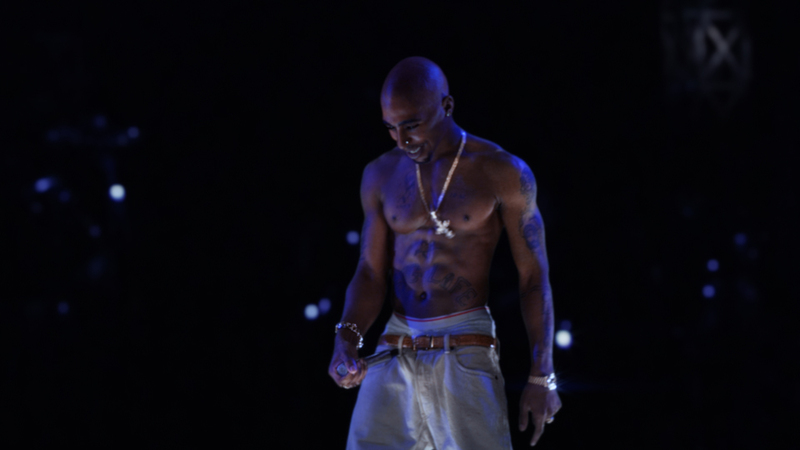 The show features lighting that is programmed to a variety of music styles. It can be viewed from various levels of the Mall’s concourse, but those dancing to the music on the ground floor experience spotlights and other lighting effects interacting with their movement in real-time. According to this mom, the multisensory show is effective in driving return traffic, especially for families seeking a unique, emotive experience. Multisensory experiences are heightened even more intensely at MOA’s FlyOver America. At a small price, you can virtually tour the country’s most iconic landscapes and landmarks in an experience not unlike Brave New World’s feelies, with weather and scents incorporated with sound and visuals. The Grand Front, a six-story shopping mall in Osaka, Japan, sets itself apart from most other shopping malls on the planet through interactive technology. You won’t find your typical mall anchor stores at Grand Front—to get a lease there, retail spaces must offer technologically innovative, immersive experiences for consumers. Big brands exhibit concept stores that tackle innovative themes rather than their run-of-the-mill products. 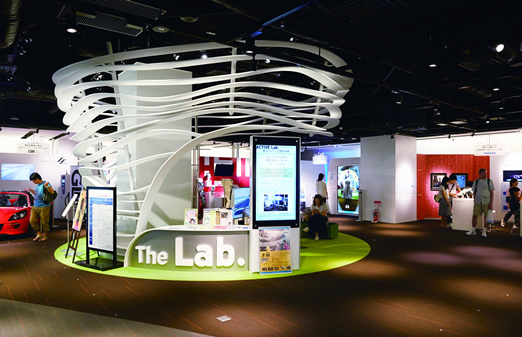 The mall also houses the Innovation Lab, which showcases startup businesses that use mall-goers as guinea pigs to beta-test products like the aforementioned interactive mirrors. Grand Front Osaka also has a Knowledge Capital devoted to edutainment, bridging the gap between retail and multisensory experience. The mall is part of a larger goal not only to resurrect shopping mall longevity but to stimulate a declining tech sector among the city’s large aging population. A 4-foot humanoid robot has started spicing up retail spaces around the world. 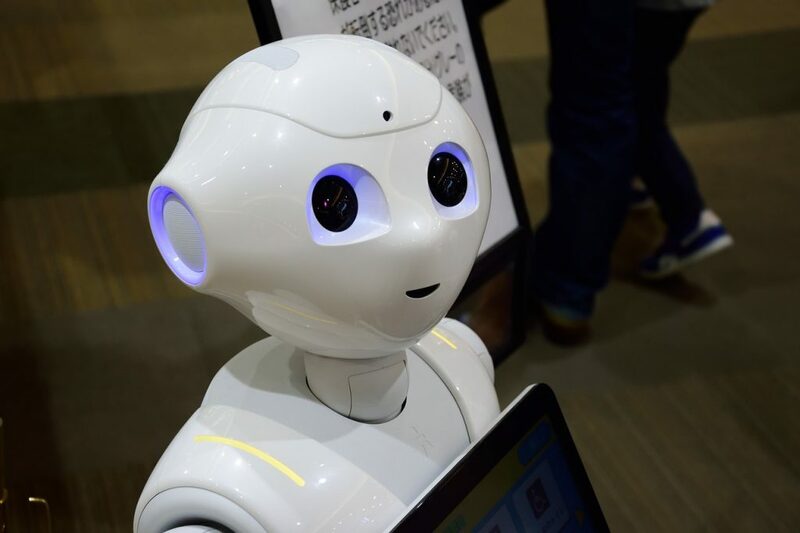 “Pepper” is touted as the world’s first robot that understands and recognizes facial expressions, voice, body language and emotion, and is capable of carrying out a basic conversation. The robot is useful for a variety of settings including the home, but introducing the robot to retail space helps welcome and direct foot traffic in conjunction with human staff. The robot has the added non-human benefits of interactively entertaining kids while their parents are browsing, and following up with customers after retail exchanges. The impact of Pepper on retail space is so promising that the first 1000 Peppers sold within their first minute on the market for about $1600 USD a piece. Perhaps the most intriguing interactive component to Pepper in a retail space is its ability to style. The robot is programmed to understand how inventories of clothing items fit different body types and provide detailed personal style advice to individual customers. Too shy to get an opinion from a stranger? Just ask Pepper. If you could describe the future of shopping malls in three words, they would be interactive public spaces. The world’s most thriving shopping centres stay ahead by offering technology and experiences that e-commerce can’t. It’s not realistic for all shopping malls to adopt these expensive interactive technologies like robots and touch-screen mirrors—but making relatively small installation investments provides opportunities to engage with customers in new ways and create offline social platforms. These will have a huge impact on the success of shopping malls, not only economically, but culturally in their communities. Any way you slice it, years of overbuilding means that not every mall will survive the coming generations. 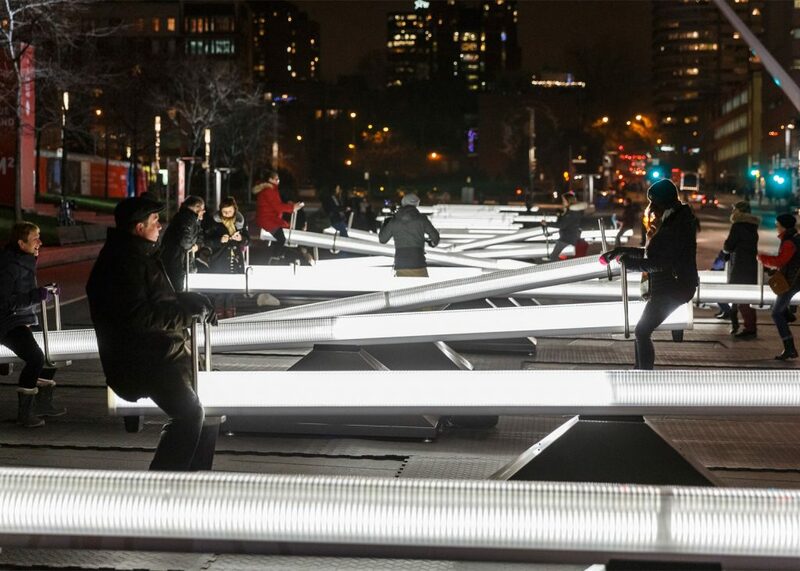 Those that do will undoubtedly make use of technology, art, and interactivity in their public spaces. To learn more about a Limbic Media product that’s making public spaces interactive, check out Aurora. As cherry trees begin blossoming along Victoria’s boulevards, thoughts of Christmas planning are at least several months down the road for the average person. However, big-time holiday event planners like shopping malls and other public centers are already getting the ball rolling for the 2018 season. Our previous article discussed how shopping malls are adapting their public spaces to survive coming generations. Malls are finding themselves in a consumer landscape that is spending more on multisensory experiences and online shopping, and they must adapt their public spaces accordingly. Christmas is the most lucrative time of the year to invest in that change, and the easiest way to do it is through interactive holiday displays. This is the second in our series on how shopping malls are changing as public spaces. With an increased move to e-commerce, fearful malls are making or breaking their success by transforming their public spaces into immersive art displays and edutainment centers that incorporate participatory technology. Since the recession in 2008, consumers have less disposable income but are also more inclined to spend experientially. Recent numbers show that only 11.6% of retail sales occur in an online marketplace. Now that the millennial generation is becoming parents, they are channeling those experiential values through their kids as well. Shopping malls are waking up to the fact that offering interactive components to their space not only attracts customers but keeps them returning. These displays offer something consumers can’t get by shopping online, and they’re willing to take the trip to brick-and-mortar stores to get the experience. Shopping online is seen as a big threat to offline material consumption. 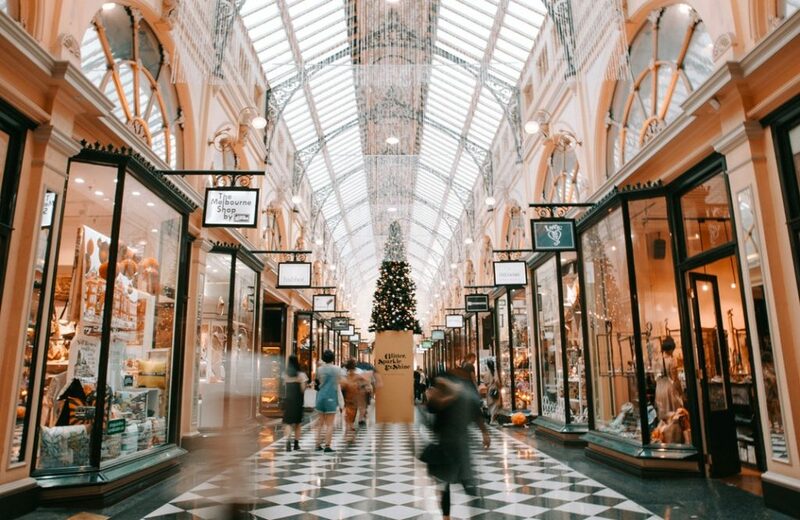 For the time being, however, recent numbers show that only 11.6% of retail sales occur in an online marketplace—and all it takes is a short visit to shopping malls in early December to see that there is still a huge demand for over the holidays. Investing in non-retail, interactive public displays provides a huge opportunity for shopping malls to raise their profile not only during the season but for the rest of the year. While adapting space to meet these needs is worth the year-round investment, shopping malls create displays during the Christmas season almost by default—so standing out and creating something that other public or offline spaces aren’t is critical to stay afloat. You just can’t get a spot on Santa’s lap over the web. It’s no surprise that shopping malls make a killing over the holidays. However, a deeper look into the holiday display industry reveals a seasonal employment sector that is surprisingly lucrative. When you picture the 5000 mall Santas that are estimated to be employed across the United States every holiday season, it’s the stuff of an obscure holiday-themed VICE documentary on American subcultures. Mall Santas rake in anything from $10,000-$60,000 USD over the five to six-week holiday season, some even earning $500 USD per hour. And it’s not just Santas that benefit from seasonal employment. 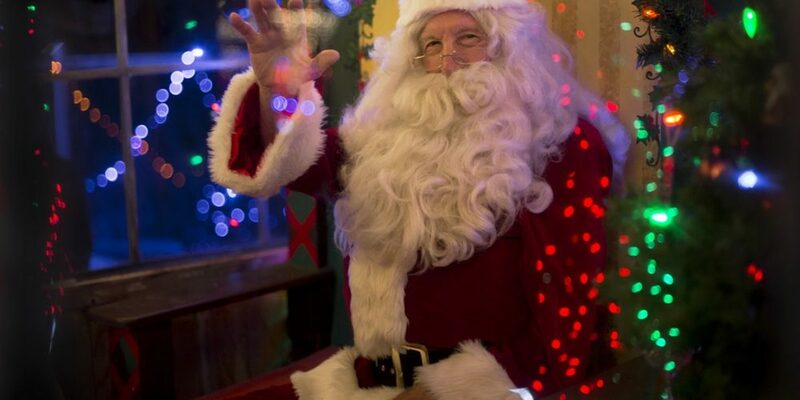 There are at least two professional Santa Claus schools in the United States—one in Denver, Colorado, and the “Harvard” of Santa Schools, employing faculties that have been pumping out an annual class of bearded graduates as early as 1937. Behind every holiday mall display is also a team of event planners, photographers, lighting installers, set designers, and assistants to attend the millions of Santa-display customers every year. One mall can earn up to $1-million per season directly from a single Santa display. That doesn’t include the retail revenue from visitors who shopped while they came in to see the display. Santa mall displays are becoming more sophisticated and interactive than ever before. 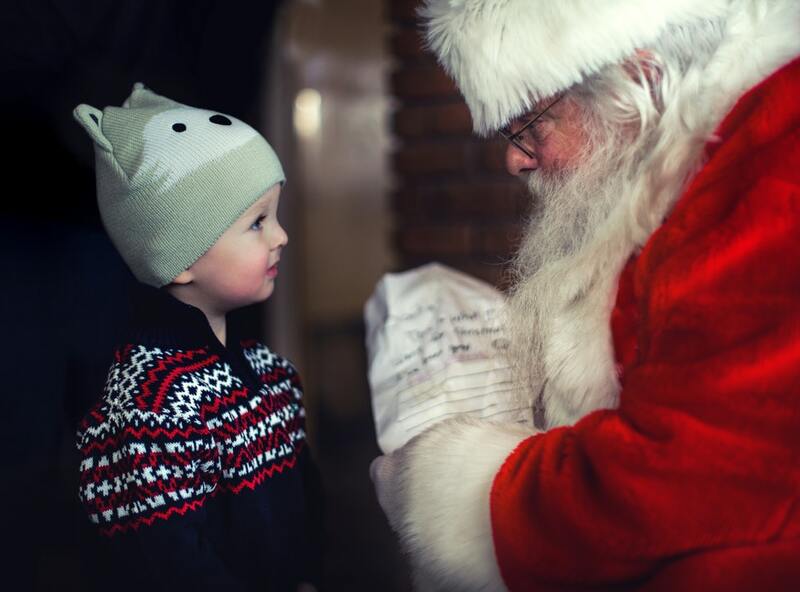 The aforementioned Santa schools include workshops on the latest gadgets to get Santas familiarized with the kind of edutainment kids are after, and to offer an extra level of interactivity on site. Phone alerts allow customers to avoid lineups or queue specifically for a black, white, Asian, or ASL-speaking Santa. Some bigger malls even have themed interactive Frozen or Shrek displays to occupy customers while they wait. Holiday displays are more engaging for visitors and as a result, increasingly profitable for their organizers. The ROI of having an engaging holiday-themed display at a shopping mall is staggering. One mall can earn up to $1-million per season directly from a single Santa display. That doesn’t include the retail revenue from visitors who shopped while they came in to see the display. 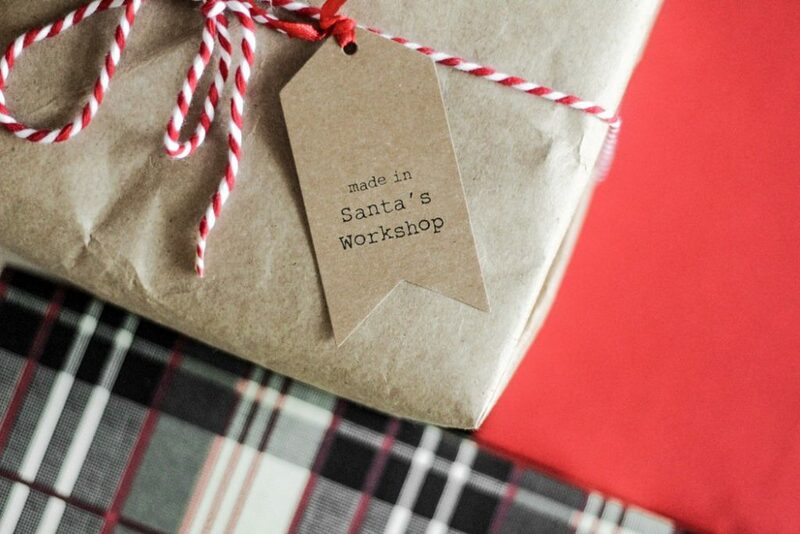 The trade group International Council of Shopping Centers found that 70% of shoppers made purchases while they were at the mall specifically to see Santa. If an interactive display has the potential to draw that kind of return for six weeks of the year, it makes sense that shopping malls are investing more in non-seasonal immersive art and participatory displays. Monetary returns on investing in displays are convincing, but there’s also huge value in intangible returns that is overlooked, especially when aesthetics are often perceived as secondary to profits. 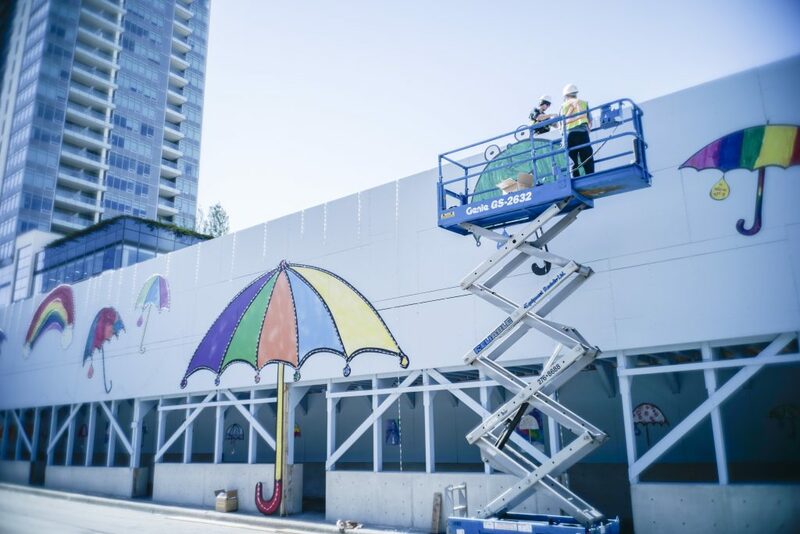 A mixed-use building in LA’s Koreatown neighbourhood, housing residential and retail space over a busy subway, invested $75,000—or 0.06% of the development’s total cost—into a large-scale mural on the building’s facade. The public art ended up getting featured on the cover of LA Times’ news and culture section, not only marketing the display but also giving the developer invaluable international recognition as a cultural influencer. The display ended up in dozens of publications, became a popular location for photo and video shoot and news backdrops, and served as a marketing image for the transit authority. Similarly, the California Department of Transportation developed an HQ in a nearby neighbourhood. The development required 1% of its total cost to be dedicated to public art, as mandated by the State of California. The result was an installation of architectural neon and argon light tubes that emulate car tail lights in motion. The public art was a big hit. The Department receives a regular income from photographers and filmmakers who use the space as a site (there are definite Bladerunner vibes), and the architectural light installation has gained a global reputation in the public art world. …not investing in the impact of public space is sacrificing the very element of shopping malls that is key to their survival. While these examples aren’t holiday-themed (displays can usually be adapted quite easily, however), they confirm that the ROI for non-retail investments in public space is well worth it, both fiscally and intangibly—and these public art examples aren’t even interactive! When displays, holiday-themed or otherwise, are raised to a participatory level that the public can actually engage with, that value is elevated even more. Not only does it benefit those commissioning and creating the art, but it also fosters a sense of community and placemaking for those in direct contact with it. In an uncertain offline retail market, some shopping malls might balk at the idea of investing a substantial sum of money into holiday displays. However, in line with Henry Ford’s saying that a man who stops advertising to save money is like a man who stops a clock to save time, not investing in the impact of public space is sacrificing the very element of shopping malls that is key to their survival. Holiday displays like Santas that offer a mixture of public art, interactivity, and technology helps malls stand out from other public spaces, profit the most from retail and employ more people seasonally. Because holiday displays also have the potential to raise a shopping mall’s profile, investments into public art, particularly interactive public art, are well worth the return if they can also adapt to non-seasonal audiences that value multisensory experiences outside the home. Subscribe to our newsletter for more great content like this!